A pair of hand-held applications have come to our attention. Connectivity and high-quality data sharing make both important tools for justice delivery. Both are likely to offer greater protection to those who are vulnerable to illegal police conduct. Both apps are in development. Open Police Complaints (OPC, see video below) prompts users to thoroughly document a police encounter. Developed in collaboration with police oversight professionals, it is designed to draw actionable intelligence from an event. Portland’s ‘Independent’ Police Review Division (IPR) currently rejects about 70% of incoming complaints, before handing the rest over to the police bureau to find little cause for investigation. (All racial profiling complaints are rejected out of hand.) We know that over-policing generally targets those with few resources, but believe constructing a complaint, via OPC’s guided process, would help level the playing field … for those who’ve experienced disparities in education and opportunity for civic engagement. IPR will not justify their reasons for refusing complaints, but we suspect more complete and higher-quality data would make their inattention to police misconduct harder to defend. 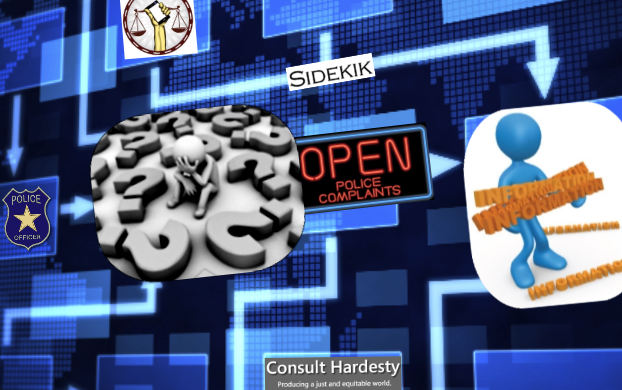 What is profound about the Sidekik app is that it offers subscribers with means real-time access to legal representation. Imagine – at point of police contact – the heightened quality of justice delivery on offer. We know ‘consent to search’ to be a problematic arena: our local cops will ask, “You don’t mind if we look into your backpack, do you?” Both “Yes” and “No” responses are translated into permission giving. Let your lawyer answer that question. Let a calm, legal mind establish whether ‘reasonable suspicion’ justifies engagement with his or her client, or that ‘probable cause’ preceded warrantless search. By law, officers are required to be able to articulate such. UPDATE: Sidekik apparently failed to launch. We know, by falling under government surveillance ourselves, that law enforcement now collects unimaginable troves of data … for cases they haven’t yet built. Recording police encounters would help tip an imbalance of evidence acquisition. We’ve long sought improvements to data collection, particularly in police documentation of race-based disparities in traffic and pedestrian stops. We know Portland police disguise the magnitude of stop and frisk. By culling from their reports incidents they categorize as ‘mere conversation,’ our bureau hides actual and substantive police intervention. We know a video record of police conduct in these scenarios would increase public awareness that these ‘conversations’ are intrusive, and are programmatically designed to roust people of color. In 2012, when in Portland, Paul Hawken addressed process innovation in civil society. He called justice sustainability advocates to attend to the idea that ‘inputs must feed output.’ To that end … for data collection to make a difference … local authority must be prepared to receive cases generated by these applications. We know this will require political will … and general agitation for honest appraisal of real-world conditions. The primary means for obtaining remedy for police misconduct has not been through governmental police oversight mechanisms. Both apps improve the prospect of civil litigation, victims’ primary means of obtaining redress in current conditions. For complaints released to their purview, OPC intends to refer victims with strong cases to “distinguished, local civil rights attorneys” in their network. Identify ‘Repeater’ Cops – Published data will embolden administrators to correct officer misbehavior before it turns deadly. Set National Standards for Police Complaints – Closing the feedback loop, comparative, departmental performance ratings will describe best practices for responding to civilian complaints. We’ll get benchmarks. Improve Policing Data Sets – Reporting will help identify patterns and practices related to traffic stops, searches, arrests, police use of force, and racial profiling. Such documentation increases odds that a community’s call for investigation by the US DoJ Civil Rights Division will find traction. Local government established IPR in the office of Portland’s Auditor – temporarily, in 2001 – when citizen appointees refused to sit any longer on a police self-exoneration scheme styled the Police Internal Investigations Auditing Committee. As IPR brags about a decline in complaints received … without offering any analysis as to why this has occurred … we realize an honest regard for what’s really happening on the streets of over-policed communities requires authorities to collect and audit real-world data provided by these applications. For too long, civilian oversight has relied on secretive police reports of their own conduct: it’s time officials embrace data hygiene and more highly value source testimony. We’ve advocated that police oversight boards recruit from local chapters of professional associations (Portland Police Training Advisory Council would do well to heed practices advanced by the Association for Talent Development, for example.) With a push from organizations like the Computer-Human Interaction Forum of Oregon, Silicon Forest programmers could route data acquired by these apps to more effective outcomes. 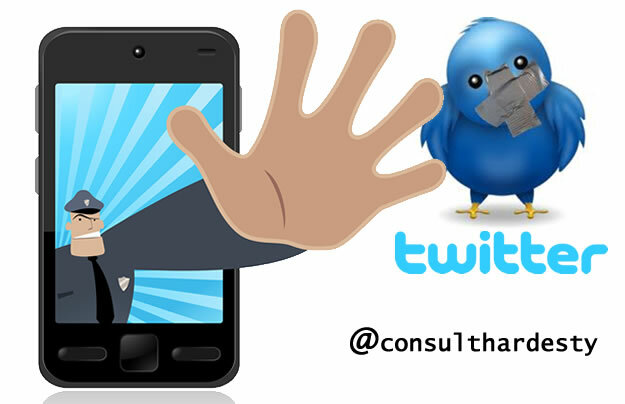 See our posts ‘Tweet This‘ and ‘Be the Media‘ for more on apps and policing.